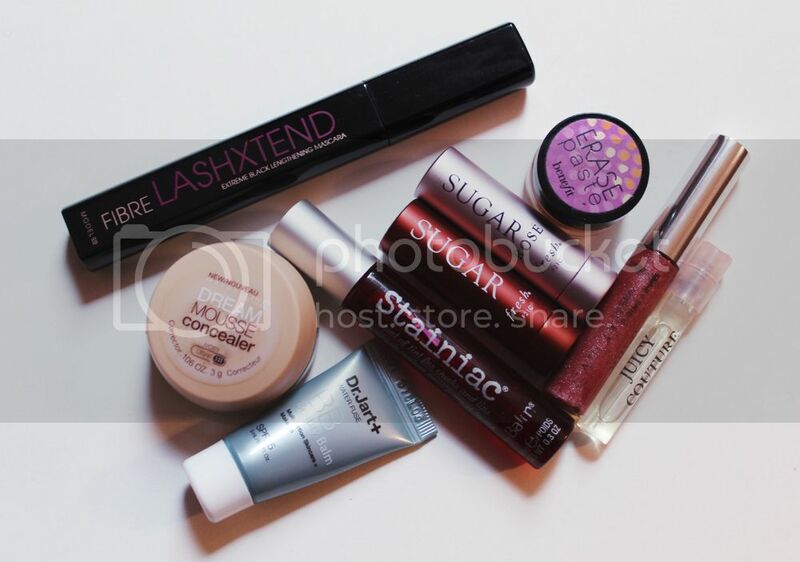 It's about time for me to round up a few of the stand out products I have either recently acquired or rediscovered. This time around it seems the theme is no-fuss and painstakingly easy because I have not had the time nor energy to do anything crazy with my beauty routine. ModelCo FIBRE LASHXTEND Lengthening Mascara - Despite the very bold name, this mascara fails to create much drama for my eyelashes. I received this full sized mascara in my November Birchbox and was ecstatic to try my first fiber mascara but it proved to do little more than add only the tiniest bit of length and not a bit of curl. Initially I was highly disappointed and was about to condemn the mascara to the pile of other rubbish mascaras I have lying about but a light bulb went off and I wondered if this would look any good on my eyebrows. My epiphany was a success (in my book anyway) and I love using this mascara as an eyebrow gel of sorts. The formula and fibers add density and length to my brows while combing them into neat little arches. My brows look incredibly natural and it is a lot easier to brush on some eyebrows as opposed to carefully drawing them in as I used to do. Dr. Jart Water Fuse BB Cream - This is another Birchbox sample that just keeps on giving. I reviewed this more in depth a few weeks ago and have been using it somewhat consistently since. I have found that I prefer the finish of this when applied with a dense flat top brush. This BB cream looks quite natural after it sets into the skin and it gives a healthy glow to the skin that does not look shimmery or shiny, just glowy. Benefit Erase Paste Concealer - An oldie but a goodie is all I really have to say about Erase Paste. I actually featured it in my very first favorites post way back in September 2010! Wow, it really goes to show how long makeup lasts me.... In short, Erase Paste conceals dark circles fabulously if you moisturize your skin well beforehand and warm up the product between your ring fingers prior to application. I have yet to try the Bobbi Brown Corrector but I can imagine it being similar to this. Maybelline Dream Mousse Concealer - Apologies for including a product that has been discontinued for sometime but I only bought it when it was 75% off at CVS during the last (or was it last, last) beauty clearance sale. I had read positive reviews about it but could not test it out properly for the few months after I bought it since the shade I bought was way too light. 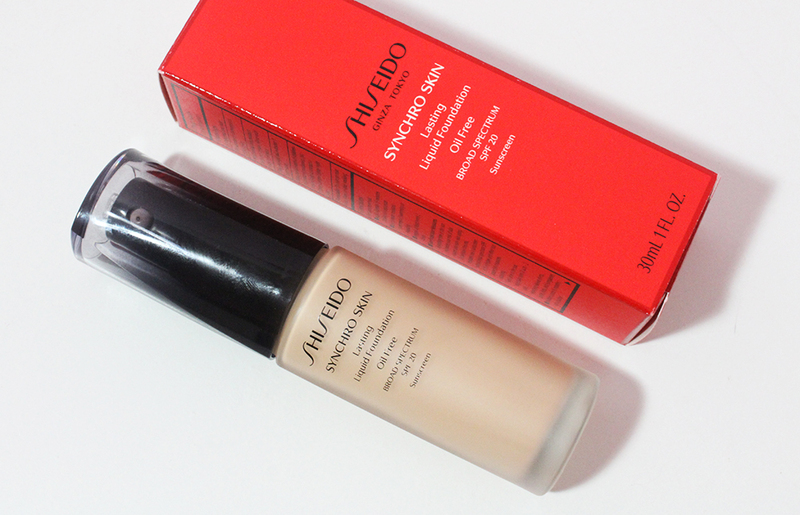 Now that I'm a bit paler this is my go-to concealer for covering acne scars and discoloration. When I do not want the feeling of a BB cream, tinted moisturizer or foundation all over my skin, I conceal under my eyes with Erase Paste and dab this Maybelline concealer on specific spots. The coverage is medium and the product blends seamlessly into my skin although it can be a little drying if over applied. theBalm Stainiac in Beauty Queen - I have been loving this product for quite a while as a lip tint but only recently learned how to apply it to the cheeks thanks to Julie (aka LilLadyLife). On the lips, this tint is extremely comfortable and non-drying and it lasts for hours on end. To get the full effect throughout the day I apply it straight from the tube and reapply about three times in total. I never have to wear balm with this no matter how many layers I apply. On the cheeks it adds a beautiful, natural flush that makes my cheekbones look more prominent and my complexion looks more vibrant. Cargo Lipgloss in Morocco - Cargo is definitely an underrated brand that gets a bit of blog time now and again but consistently falls off the radar despite having quality products. This lipgloss has received a mention before in the My Top 5: Lipglosses post back in January. The color looks quite dark but applies sheer and adds the most gorgeous shimmer to my lips. The gloss is smooth and not sticky at all which makes it a dream to wear. Juicy Couture Eau de Parfum - This favorite is a bit of a shocker to me because I have tried several Juicy Couture scents and found all of them to be quite nauseating and childish. I received this sample as part of a Sephora offer and was pleasantly surprised that I could not stop smelling myself (in the least weird way possible) when I tried it on. The scent lasted a long time on me but honestly I think all fragrances last the entire day on me. I typically am very picky with fragrances and most smell the same to me but there's something about this one that I just enjoy. Check out the video below to hear a bit more about each product! Have you tried any of the products I mentioned? What products have you been loving lately? I want to try a Dr. Jart BB after I finish the skin79 one. 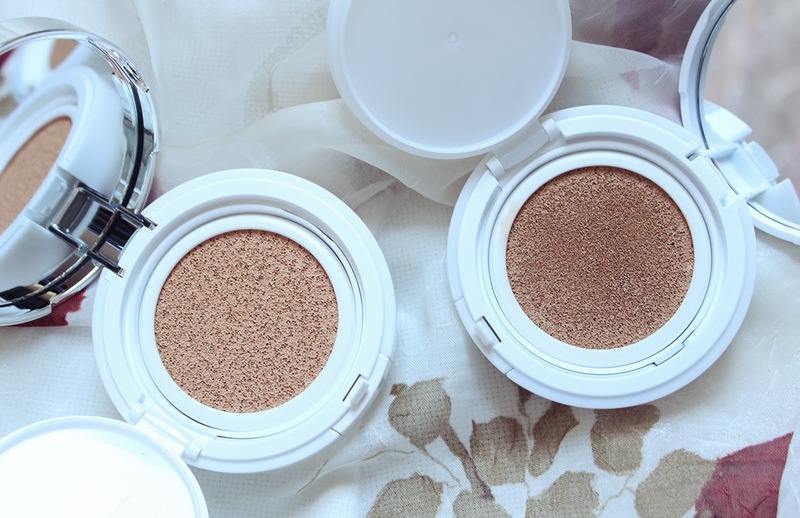 I really like the l'oreal true match concealers, matched with their powders- although that is the only brand I've tried really, in terms of concealer. The sugar lip balms do feel *very* nice - makes me sad to use it up! lol, just the other day I was randomly thinking about how it'd look if I used mascara on my brows. I was thinking it might create this cool, super dark & bold effect. I've never tried any of the L'oreal True Match products before (mainly because the packaging is not very attractive - I know, horrible reason) but the new-ish Lumi foundation looks really great! I was thinking about picking that up when I'm looking for a drugstore foundation. Haha! Lumi sounds and looks cute. I've never used a mascara on my brows before, but what a good idea! Glad you are able to put it to good use!